The Reds were the better side for long spells of the Group C clash on Merseyside and they were two goals up after 36 minutes. 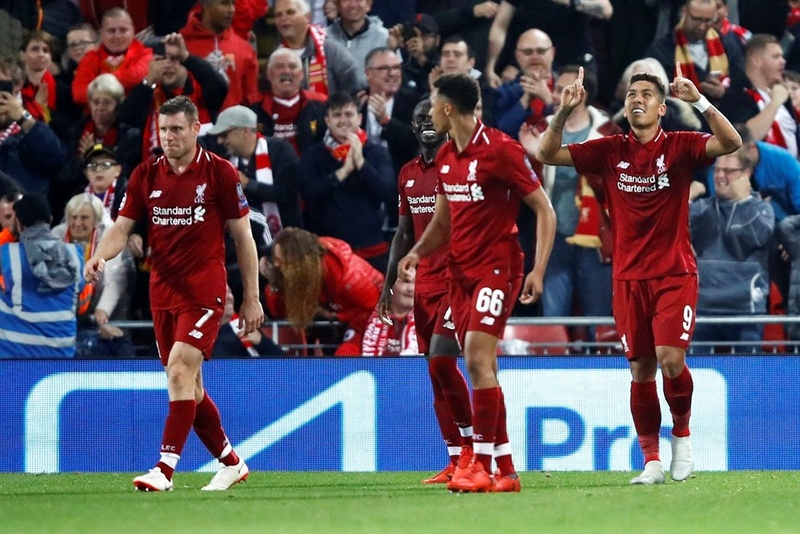 Liverpool On Tuesday night began their Champions League campaign on a winning note; albeit with a last-gasp 3-2 win over fellow European giants Paris Saint-Germain at Anfield. Daniel Sturridge and James Milner gave the hosts their two-goal lead but it was quickly halved by Thomas Meunier. Despite the other chances that came the way of Liverpool they failed to make the best use and it looked as though they might be punished for their failure to make their dominance count when Kylian Mbappe tucked home an undeserved equaliser seven minutes from time. However, Roberto Firmino - who started on the bench after suffering an eye injury against Tottenham Hotspur at the weekend - fired home a stoppage-time winner to ensure that Liverpool maintained their perfect start to the season with six wins from six games across all competitions. The other Group C clash between FK Crvena Zvezda and Napoli ended in a stalemate.